The United Nations Conference on the Environment and Development (UNCED), held in Rio de Janeiro in 1992, spawned a multitude of pro grammes aimed at assessing, managing and conserving the earth's biological diversity. One important issue addressed at the conference was the mountain environment. A specific feature of high mountains is the so-called alpine zone, i. e. the treeless regions at the uppermost reaches. 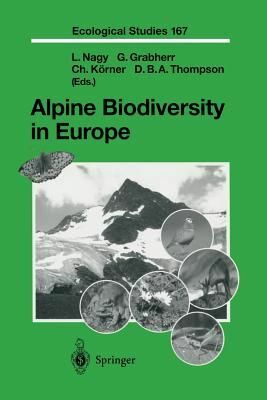 Though covering only a very small proportion of the land surface, the alpine zone contains a rela tively large number of plants, animals, fungi and microbes which are specifi cally adapted to cold environments. This zone contributes fundamentally to the planet's biodiversity and provides many resources for mountain dwelling as well as lowland people. However, rapid and largely man-made changes are affecting mountain ecosystems, such as soil erosion, losses of habitat and genetic diversity, and climate change, all of which have to be addressed. As stated in the European Community Biodiversity Strategy, "the global scale of biodiversity reduction or losses and the interdependence of different species and ecosystems across national borders demands concerted international action." Managing biodiversity in a rational and sustainable way needs basic knowledge on its qualitative and quantitative aspects at local, regional and global scales. This is particularly true for mountains, which are distributed throughout the world and are indeed hot spots of biodiversity in absolute terms as well as relative to the surrounding lowlands.